Mubychem Group, established in 1976, is the pioneer manufacturer of BHA Butylated Hydroxyanisole, Pharmaceutical, Fragrance & Flavor chemicals in India. Mubychem Group has several manufacturing facilities spread across Gujarat and Mumbai India and world wide contacts and toll manufacturers. We are exporting globally to countries like USA, Europe, UAE, South Africa, Tanzania, Kenya, Egypt, Nigeria, Uganda, Turkey, Mexico, Brazil, Chile, Argentina, Dubai, Indonesia etc. Apart from Butylated hydroxyanisole Manufacturers we also manufacture Butylated hydroxytoluene, and Tertiary or Tert Butylhydroquinone the main antioxidants for oils and fats. Butylated hydroxyanisole is a white to slightly yellow waxy flakes with characteristic odor. It is freely soluble in alcohol, propylene glycol. It is insoluble in water. 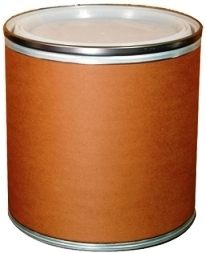 Packing will be 25-50 kg or 50 lbs in bags or drums or as desired by the buyer. The most effective antioxidant, imparting excellent stability for an array of food products, fats, shortenings, vitamins, pet foods, cosmetics pharmaceutical products and packaging material. BHA, reduces the oxidative deterioration of edible oils and fats, loss of flavour, colour and nutritive value of foods. BHA, THE BETTER ANTIOXIDANT : BHA normally is a mixture of 2 isomers, 2 tert butyl and 3 tert butyl isomers 3 tert butyl isomer has better antioxidant property. White free flowing crystalline Flakes. Stable to heat and mildly alkaline conditions. 20% colorless solution in propylene glycol remains colorless even when heated at 1940F for 1hr. BHA SYNERGISTIC EFFECT : BHA gives greater synergistic effect with TBHQ, BHT and propyl gallate than that which might be expected from contribution of each individual antioxidant. Synonyms: "tert-butyl-4-methoxyphenol (2-and 3-mixture)", tert-butyl-p-methoxyphenol, "t-butyl hydroxyanisole", mono-tert-butyl-4-hydroxyanisole. Hazardous by definition of Hazard Communication Standard (29 CFR 1910.1200). Protective Equip: Goggles, Lab Coat. Warning! Possible cancer hazard. May cause cancer based on animal data. Risk of cancer depends on duration and level of exposure. Harmful if swallowed. Causes eye, skin, and respiratory tract irritation. Toxic to aquatic organisms, may cause long-term adverse effects in the aquatic environment. Target Organs: Blood, liver, respiratory system, eyes, skin. Hazardous in case of skin contact (irritant), of eye contact (irritant), of inhalation (lung irritant). Slightly hazardous in case of ingestion. Skin: Causes skin irritation. May be harmful if absorbed through the skin. Ingestion: Harmful if swallowed. May cause irritation of the digestive tract. Inhalation: Causes severe respiratory tract irritation. May be harmful if inhaled. Chronic: Possible cancer hazard based on tests with laboratory animals. Prolonged or repeated skin contact may cause dermatitis. Chronic exposure may cause liver damage. Adverse reproductive effects have been reported in animals. Laboratory experiments have resulted in mutagenic effects. Chronic exposure may cause blood effects. Animal studies have reported the development of tumors. Flammability of the Product: May be combustible at high temperature..
Products of Combustion: Carbon dioxide, Carbon monoxide, fumes. Fire: Flamable in the presence of open flame. Explosion: Slightly explosive in presence of heat. Fire Extinguishing Media: Use any means suitable for extinguishing surrounding fire. Use water spray, alcohol-resistant foam, dry chemical or carbon dioxide. Large Spill: Avoid touching the spilled material. Do not let the product enter drains. Use a shovel to put the material into a convenient waste disposal container. Do not contaminate the environment. Do not ingest. Do not breathe dust. Wear suitable protective clothing. In case of insufficient ventilation, wear suitable respiratory equipment. Keep Butylated Hydroxyanisole, BHA in a tightly closed container, stored in a cool, dry, ventilated area. Protect against physical damage. Other Control Measures: Maintain good housekeeping in work area. Handle in accordance with good industrial hygiene and safety practice. Wash hands after handling. Appearance: Butylated Hydroxyanisole, BHA is a white to off-white waxy solid. Odor: It has faint typical odor. Solubility: It is immisible in water. Stability: Butylated Hydroxyanisole, BHA is stable under ordinary conditions of use and storage. Hazardous Decomposition Products: It emits Carbon dioxide, Carbon monoxide & Fumes. Incompatibilities: Strong oxidizing agents, reducing agents metals and acids. Conditions to Avoid: Incompatibles and moisture. Phenols are incompatible with strong reducing substances such as hydrides, nitrides, alkali metals, and sulfides. Avoid use of aluminium, copper and brass alloys in storage and process equipment. Heat is generated by the acid-base reaction between phenols and bases. Phenols are sulfonated very readily (for example, by concentrated sulfuric acid at room temperature), these reactions generate heat. Phenols are nitrated very rapidly, even by dilute nitric acid. Nitrated phenols often explode when heated. Many of them form metal salts that tend toward detonation by rather mild shock. Segregate from oleum, nitric acid and chlorosulfonic acid. Toxic if swallowed. Chronic exposure may cause damage to a variety of body organs. Harmful if inhaled. Carcinogenic Effects: Classified 2B (Possible for human.) by IARC. Classified 2 (Some evidence.) by NTP. Mutagenic Effects: Mutagenic for bacteria and/or yeast. May cause damage to the following organs: blood, liver, upper respiratory tract, skin. Teratogenic Effects: Teratogenic effects have occurred in experimental animals. Developmental Toxicity: Adverse reproductive effects have occurred in experimental animals. May affect genetic material (mutagenic). May cause adverse reproductive effects based on animal test data. May cause cancer. Products of Biodegradation: Possibly hazardous short term degradation products are not likely. However, long term degradation products may arise. Toxicity of the Products of Biodegradation: The products of degradation are less toxic than the product itself. R 40 Limited evidence of a carcinogenic effect. R 51/53 Toxic to aquatic organisms, may cause long-term adverse effects in the aquatic environment. S 26 In case of contact with eyes, rinse immediately with plenty of water and seek medical advice. S 29 Do not empty into drains. S 36/37/39 Wear suitable protective clothing, gloves and eye/face protection. S 61 Avoid release to the environment.sheets. CAS# 25013-16-5: No information available. CAS# 7447-39-4 is listed on Canada's DSL List. CAS# 25013-16-5 is listed on the Canadian Ingredient Disclosure List. CAS# 25013-16-5 is listed on the TSCA Inventory. R36/37/38- Irritating to eyes respiratory system and skin. S36/37- Wear suitable protective clothing and gloves. S45- In case of accident or if you feel unwell, seek medical advice immediately (show the label where possible). Our company provides this BHA Butylated Hydroxyanisole, MSDS sheet in good faith but makes no representation as to its comprehensiveness or accuracy. This Butylated Hydroxyanisole, BHA MSDS sheet is intended only as a guide to the appropriate precautionary handling of the material by a properly trained person using this product. The above information has been compiled from various sources and has the possibility of discrepancy and being out-dated information. Individuals receiving the information must exercise their independent judgment and do further search in determining its appropriateness for a particular purpose. In no case shall our company be liable to loss or damages by the product user.